Fish oil supplements is now one of the most popular dietary supplements on the market. According to ConsumerLab.com 2010 survey, fish oil is the number one supplement being taken by people. This is because fish oil is very helpful in fighting a wide range of health problems. As a result of this understanding, so many brands of this oil are available on the market today. Choosing the best supplement is therefore a difficult decision to make. Safety and purity is now a major decision. Due to pollution of aquatic habitats, it accumulates toxins such as mercury, polychlorinated biphenyls (PCBs) , and dioxins among other harmful chemicals. Even though these risks are there, the benefits you get from the oil of these species are more significant. A lot of its benefits comes from omega 3 fatty acids that it contains. Check and see the source of the supplement you want to buy. MedlinePlus records that the species that are most often used includes salmon, tuna, mackerel, halibut, trout and sardines. Avoid the supplement that does not show the source from which it came from. Go through the ingredients label keenly and look for EPA and DHA omega 3 fatty acids. The label should show the amount of fatty acids present in every capsule. Some are more concentrated than others hence this may cause a difference in the amounts of fatty acids in a capsule. The average capsule contains 180 mg of EPA and 120 mg of DHA. Vitamins such as vitamin A, B1, B2, B3 and vitamin D are occasionally added to these supplements. Small amounts of vitamin E is added so that the supplement does not spoil. So check for vitamins that may have been added. Ensure that a supplement is certified as purified and toxin free. Read over the label to know more about the supplement purification process. Check the letters 'USP' from the label. This will help identify purification process and other processing guidelines that have been used. keep aside products that do not label processing and purification information. How often should I take a Fish Oil Supplement? Doctors and researchers have long recognized that increasing the amount of fish oil in our diet has substantial health benefits. The active ingredients in these oils are essential fatty acids known as omega-3 fatty acids. Further, these experts state that it is always best to get nutrients from food. They therefore recommend frequent consumption of species that is rich in fish oil. Fish oil comes from the tissues of fatty fish species. These include salmon, sardines, mackerel, albacore tuna, black cod, and herring. However, many of us have limited or no access to the fatty fish species. In addition, recent researches show that eating oily fish poses a health risk - many toxins come along with them. This is due to pollution of marine habitats. So, if you eat king mackerel, tuna, or other fatty fish, you will be taking quite a bit of mercury plus other toxins. This means that the amount an individual should consume daily to get the required amounts of fish oil could contain high amounts of toxins. For these reasons, experts recommend supplementation. A supplement is safer since its preparation and purification techniques removes toxin substances. Taking a fish oil supplement daily will ensure that your body is receiving the necessary omega-3 fatty acids. If you like eating fish instead of taking supplement, this does not mean you should not eat them at all. My advice is, limit your intake and complement your diet with supplements. Through taking these supplements, you stand to get more omega-3 benefits. Hundreds of studies have been done on these oils and their role in reducing the risk of various diseases and disorders. This oil is most often used for health conditions like high blood pressure, asthma, diabetes, movement disorders, kidney disease, obesity, and weak bones among others. A lot of this oil benefits seem to come from the omega-3 fatty acids that it contains. Unfortunately, the body does not produce its own omega-3 fatty acids. 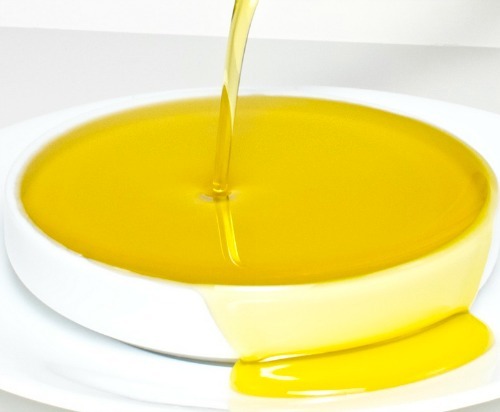 Therefore, these essential fatty acids must be provided through our diets. From the above discussion, I hope you will agree with me that taking supplements is the best secure and economical route. Omega 3 supplements are another source of essential fatty acids. This is therefore another better option instead of eating fatty species. Supplementation serves towards fulfilling the desire of everyone around the world - to look good and stay healthy! Fish oil is most often used for conditions related to the heart and blood system. People also use it to lower blood pressure. Scientific evidence also suggest that it seems to help prevent heart disease and stroke when taken in the recommended amounts. It is also used for health conditions like high blood pressure, asthma, diabetes, movement disorders, kidney disease, obesity, and weak bones among others.